Below are some questions frequently asked by CE Portal users. Click the question to expand the section and see the answer. How do I add or delete a tile on my LaunchPad? How do I create a custom icon for a tile? How do I add a tile to the Tile Picker? 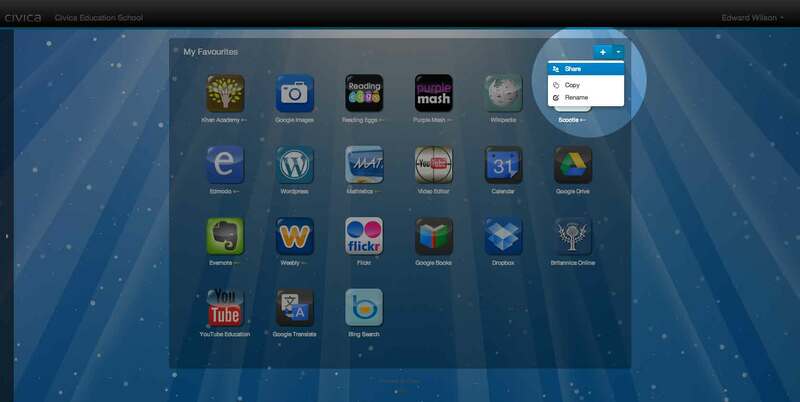 What is an auto login tile and how do I use it? How do I add or delete a LaunchPad? How do I share a LaunchPad? How can I personalise my Portal? A tile is a web button that, when clicked (or pressed on a touch device), launches a url like http://www.khanacademy.com. In other words it’s like a web link or a browser shortcut. In order to be easily identifiable and more useful, a tile contains additional information: an icon, title, description, and on some tiles a username and password. LaunchPads are web-based desktops on which you can place and organise tiles. You can have many different LaunchPads and easily switch between them to do different things. For example, you may create a LaunchPad for a particular lesson, for a homework activity, for a topic, for a task (like video editing) or for a more general purpose (like a noticeboard). My Favourites is your default personal LaunchPad which you can modify but not delete. To add or delete a tile on a Launchpad, click on the ‘+’ sign in the top right corner. The Tile Picker appears. 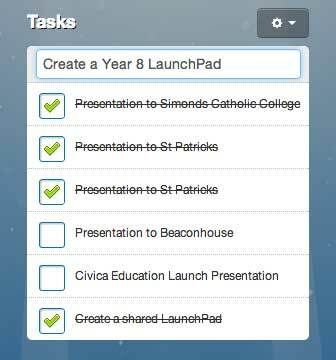 Scroll through the available tiles and click on ‘Add to LaunchPad’ or ‘Remove’ as appropriate. When you have made your selection click on ‘Finish’ to close the Tile Picker. A quick way to delete a tile is to ‘right click’ and ‘Remove’. You can also create your own tile on a LaunchPad but no-one else can see it unless you share the LaunchPad. Adding tiles to the Tile Picker is an administrative task, so only someone with School Admin rights can do this. When you create your own tile for your Launchpad you have the option of adding a custom image. Select edit image. You can use any of the ready prepared icons and colours or you can create your own custom image. The best size for the image is 90 x 90 pixels so that it doesn’t distort when it is uploaded. Use an on-line image editor such as Pixlr (available in the Tile Picker) to re-size and/or crop the image. Save it in a suitable location. 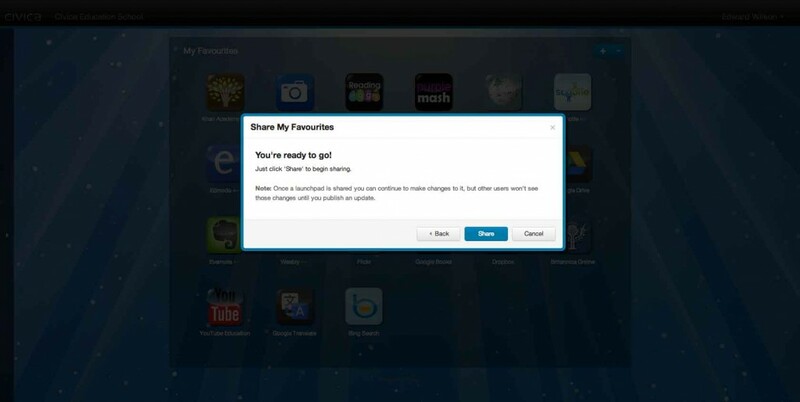 Click on ‘Select image’ and browse to the image on your device storage. A preview of the tile will be shown. Click on ‘Finish’ and continue entering the name of your tile and the web address in the input fields. Click the ‘Add to LaunchPad’ button and your tile will appear on your LaunchPad. The Tile Picker is a resource used by the school community and holds an agreed list of tiles following discussion with your school users. It is therefore the role of School Admin to manage the tiles rather than an individual. If a tile you want is not available in the Tile Picker you can still create your own. An auto login tile can store a user name and password so that when you click on the tile it will pass through your credentials to the web site and you are automatically logged in. You can identify tiles that have auto login capability by a white key in the bottom right hand corner of the tile. If the key is white, it means login credentials haven’t yet been saved in the tile. Clicking it at this point will launch the site url but you won’t be logged in. To save your login credentials to the tile, right click on the tile and it will prompt for your username and password. Enter you user name and password into dialogue boxes and save. When your user name and password credentials have been stored the key turns green. You can now click on the tile, it will pass through your credentials and you will be automatically logged into the web site. 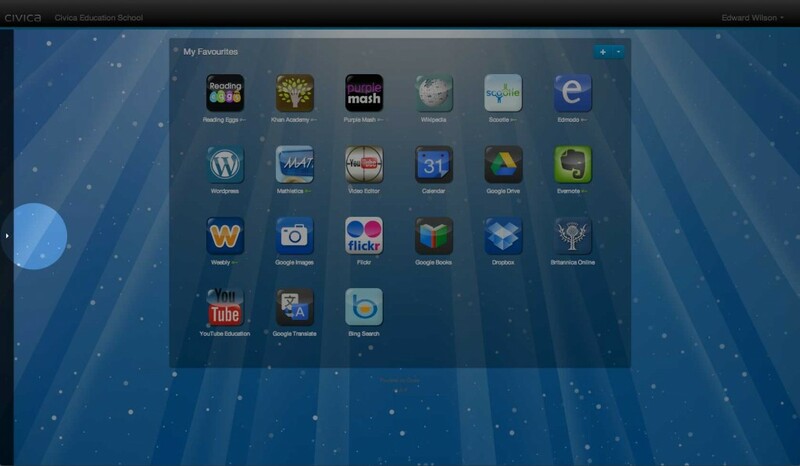 Only School Admin can create auto login tiles. Depending on the level of security utilised by the target site, the auto login feature may not be available. From experience, about 80% are successful. Click on the arrow on the left hand edge of the screen to reveal your sidebar – showing your LaunchPads and FlightDecks. To add a new LaunchPad, click on the ‘+’. A new blank LaunchPad will be created and given the name LaunchPad ‘N’, where N is the next number in sequence, so LaunchPad 2 or LaunchPad 3, for example. To rename your new LaunchPad, click on the down arrow next to the ‘+’ sign and select ‘Rename’. You can use the same menu to delete a LaunchPad, it will check you really want to delete, as once confirmed, the LaunchPad is no longer available. Alternatively in the sidebar menu, use the ‘x’ next to the LaunchPad you want to delete. You cannot delete the default LaunchPad, My Favourites, but you can change the tiles and rename it. Any LaunchPads that have been shared with you can also not be deleted. If you are the creator of a shared LaunchPad you can delete it in the same way, but it will also be deleted for everyone who shares it. 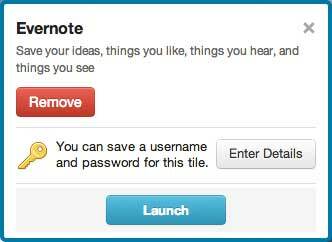 First create the Launchpad you want to share then click on the down arrow next to the ‘+’ and select “Share”. Complete the description of the Launchpad and click Next. Select one or more groups to share with and click Next. An icon will appear next to the LaunchPad to remind you this is shared with other people. As the owner of this shared LaunchPad you are the only person who can make changes to it. If you do make changes by adding or deleting tiles you will be prompted to publish the update, otherwise users will not see the changes you have made. You can add or delete users from the shared LaunchPad or stop sharing altogether by using the Edit Sharing option from the dropdown menu next to the ‘+’ icon. There are a number of different themes available as backgrounds. School Admin can either set a theme for the school or can enable users to select their own. Next to your name is a drop down menu with settings. 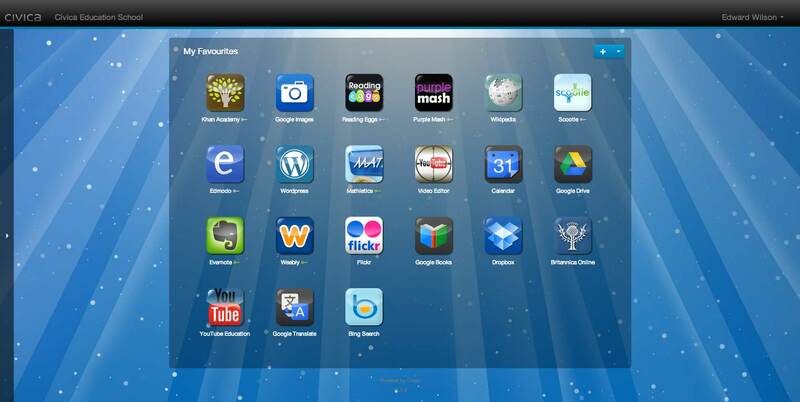 If School Admin have enabled you to change your own theme you will see previews of the themes you can select. Find one that you like and click Finish. Another way to personalise your portal is to arrange the tiles in an order that makes sense to you. On all your personal Launchpads you can rearrange the tiles by ‘drag and dropping’. FlightDecks are similar in design to LaunchPads. Instead of tiles there are Widgets. Widgets can be selected from the Widget Gallery which is found by clicking the ‘+’ icon. These can be selected and added to the current FlightDeck and dragged into your preferred location. The FlightDeck is personal to you and will only display information that you are authorised to see. A Widget is not a full application, it provides you with enough information for you to decide whether you want or need to launch the full application. You have a number of options to customise further. Select the ‘V’ icon associated with each Widget and choose Options. You can adjust the number of items to show in the list from 5 to 25. 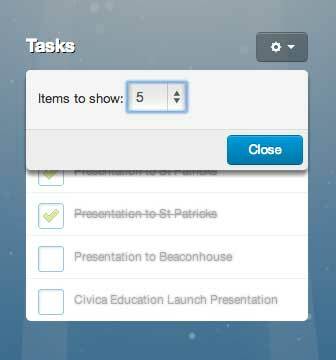 Another useful features with the Tasks widget is the ability to add tasks to the list. Click in the ‘Add a task’ box and type your task, then press enter, the task appears in your list. You can select the task and mark it as complete, however to delete it or add additional information you would need to access it through Outlook.